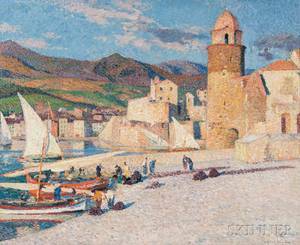 Georges Henri Carré (French 1878-1945). 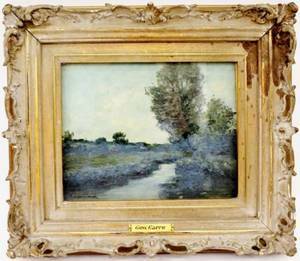 Oil on canvas painting depicting a landscape in loose Impressionist style with trees and lavender growing alongside a small stream. Signed lower left "Georges Carré". Framed 13.5" x 15.5". Unframed 8" x 10".